For many Netflix users, the popular movie rental and streaming service's indispensable value has only become more pronounced of late with the introduction of several original series produced by the company. Given the unprecedented success and diverse content of series like Orange is the New Black, Master of None, and most recently Jessica Jones, Netflix has become something of a safe haven for those looking to devour high quality television in large quantities. With so many options to pick from, and with more original productions always on the horizon, the latest word from the company has two more original shows joining the service's 2016 roster of original programming. This follows the expansion of Netflix's current multi-year contract with DreamWorks Animation, no less. According to an official press release issued on behalf of both parties, the new deal between Netflix and DreamWorks Animation includes production of shows based on new and established properties alike, as well as the animation studio's own films (which will be made available to Netflix users worldwide, save for China). It was also announced that the first two animated shows to be produced by DreamWorks for Netflix in 2016 will be a reboot of 1980s-born Voltron animated series and an original creation from Guillermo del Toro called Trollhunters, which features a "fantastical world wrapped around two best friends who make a startling discovery beneath their hometown." "DreamWorks Animation is synonymous with great storytelling that families around the world enjoy. It's with great pleasure that we expand on an already successful relationship with DreamWorks Animation to bring more premium kids and family television to Netflix members globally." "This agreement adds to the incredible foundation we’ve built together with Netflix over a number of years across both film and television. We are proud to work closely with Netflix to continue delivering high-quality programming to audiences around the world." 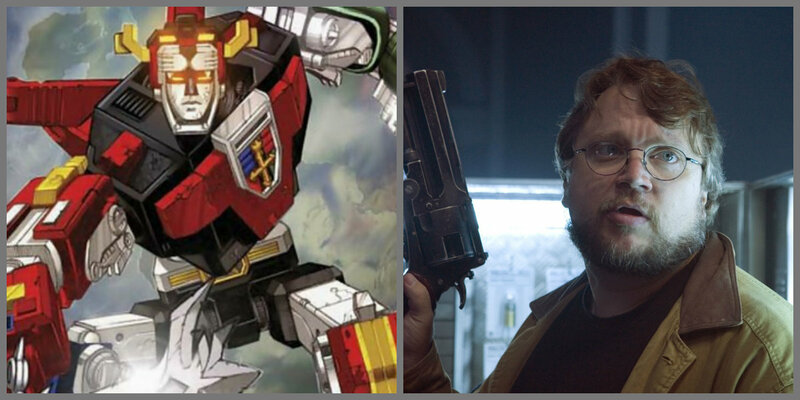 Partnering in the production of such a well known and nostalgically cherished property as Voltron, in addition to sponsoring the further creative fruition of another original concept from a cinematic mind as fertile as del Toro, sounds like a smart move and should be met with eager anticipation on the behalf of Netflix subscribers. Hopefully, the forthcoming Voltron remake and the original series Trollhunters will prove to be immediate indicators of a deal well made upon their release sometime in 2016. Hopefully, these shows won't fail to deliver on their built-in promise. Even in that case though, Netflix users can look forward to having the entire back catalog of animated features from DreamWorks to turn on at a moment's notice in the year to come. Screen Rant will bring you more information on Voltron and Trollhunters as it becomes available.